Ok, first of all, Builderall is a great platform and if you need to ask something or need fast help you need to know that you can get instant help inside Builderall just by contacting their support team. Once you have done that, you will have an “Other problems” tab, and if you press that one you will have the options to start a live chat. How to test that you have set-up you AD Bunny funnel correct? 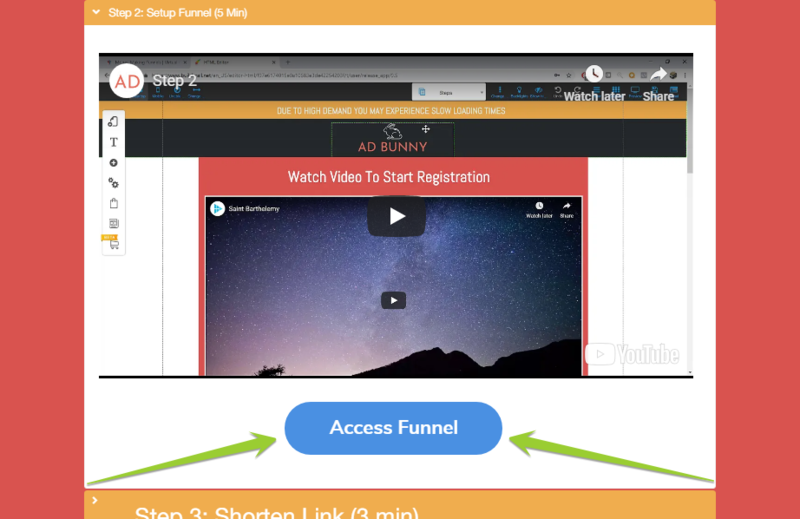 In the 3-step Ad Bunny video, you have to follow the steps in order for your affiliate link to be inserted, it is super simple but I have noticed that some people who sign up are not really understanding how it’s done (the step 2). Most likely because many have never done anything like this before, but also because the guy who explains might not do it super detailed. Anyway, just pause the video as many times that you need to and do not stress, you will be able to set it up, and if not you can ask in the live chat. What you do once you think you have inserted your own personal affiliate link (the 7-day free trial to Builderall) is that you simply test if your link is working. That is simple, you simply send your funnel (your shortened link) to your own e-mail, for example, then you click on it 1 time (or a couple) and then you go to Builderall and see if your clicks have been registered. If they have been registered it means that you have done everything right and that you are now ready to start sharing your funnel and make money with it! As you can see I have got 25 signups today from a total of 27 clicks. Did you set it up right? Did your test clicks get registred? If so, great, you are now ready to start driving traffic (visitors) to your Ad Bunny Funnel, in order to earn money from Builder All. then simply follow the steps outlined in the video (do NOT forget to save as the video tells you) and you should be able to get your affiliate link inserted. Do you want to ask anything else regarding this? Then simply drop a comment below or simply reply back to the previous e-mail I sent you and I will do my best to help you out!